Apparently Disney does more than buy movie franchises like Star Wars. It’s also in the business of creating physics-bending robots. That’s right. Disney announced Tuesday that Disney Research Zurich, along with ETH, an engineering, science, technology, mathematics and management university, has developed a robot that can climb walls. It’s called VertiGo and it’s capable of making a near-seamless transition from the ground to climbing a wall. It’s capable of mind-boggling wall riding thanks to a pair of tiltable propellers that provide thrust onto the wall, effectively sucking it against the vertical surface. “Thrust is applied both towards the wall using the rear propeller, and in an upward direction using the front propeller, resulting in a flip onto the wall,” according to a press release. 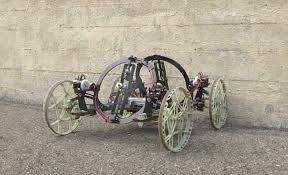 With two steerable wheels, the VertiGo is operated as easily as a common radio-controlled car. However, unlike your childhood RC car, this one has two infrared distance sensors mounted up front to estimate its orientation in space. 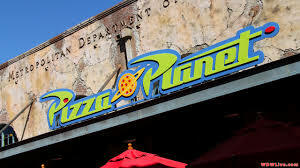 Pizza Planet and the Pizza Planet Arcade at Disney’s Hollywood Studios will be closed for an extended refurbishment starting in mid-January of 2016. The closure is scheduled for January 19th through November 7th of 2016. 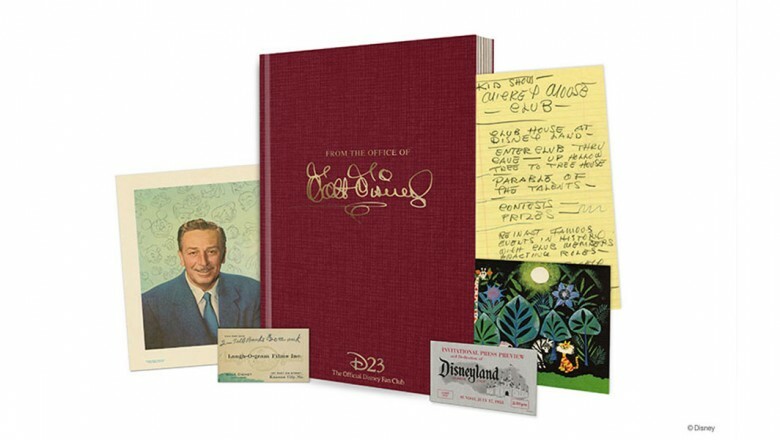 The Official Disney Fan Club didn’t have to look far for inspiration for its 2016 Gold Member gift, “From the Office of Walt Disney.” To celebrate the restoration of Walt Disney’s office suite on the Studios’ Burbank lot, the Walt Disney Archives worked with D23 to meticulously reproduce 23 unique pieces from Walt’s career that trace his path from America’s heartland to the world stage. If you’re planning on ringing in the new year at Walt Disney World, here is a guide to the most important information for welcoming 2016 at the Walt Disney World Resort. Park Hours: Morning EMH 7am to 8am. Park Hours: 8am to 2am. 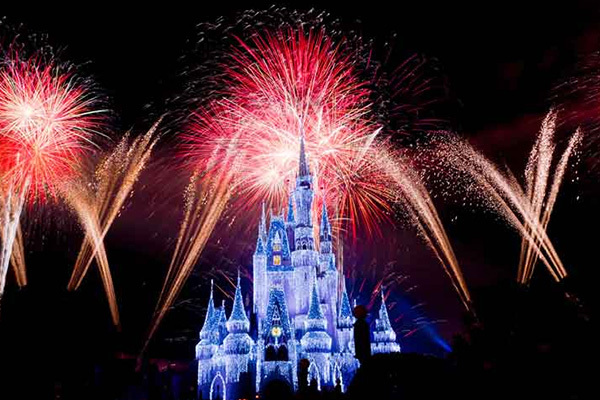 Fantasy in the Sky New Year’s Eve fireworks at 11:50pm on December 30 and 31 2015. Park Hours: 8am to 1am. Park Hours: 8am to 12am. Evening EMH 12am to 2am. As always, there will be no fireworks at Disney’s Animal Kingdom or Disney Springs. Park Hours: 8am to 9pm. Cirque du Soleil area – DJ Tony Messina from 10:30pm to 3:30am. Exposition Park on the West Side – Signal Flow from 7pm to 12:35am. DJ Dave Griffiths from 7:30pm to 1:15am. Sunshine Highline on the West Side – Dominic Gaudious from 6:45pm to 12:30am. Mitch Corbin Trio from 7:30pm to 1:15am. Water View Park at the The Landing – La Calle from 7pm to 12:45am. Nicholas Marks from 7:30pm to 1:15am. Waterside Stage at the Marketplace – Drey – C from 6:45pm to 12:45am. DJ Steve Dunlap from 7:30pm to 1:15am. Dockside Margaritas at the Marketplace – Steady Buda from 12:30 to 6:15pm. Bryan Malpass from 6:45pm to 12:15am. Fountain Stage at the Marketplace – Right on Key from 7pm to 12:30am. DJ Robbie Gomez from 7:30pm to 12:05am. The latest installment in the “Star Wars” franchise grossed an estimated $153.5 million in the U.S. and Canada in its second weekend, beating the lower end of analyst expectations of $140 million. This drives the J.J. Abrams-directed picture to a to-date domestic gross of $544.5 million. “The Force Awakens,” which cost an estimated $200 million to produce, debuted last weekend to record domestic ticket sales of $248 million. It also grossed $281 million overseas for a global total of $529 million, topping the previous worldwide debut benchmark set in June by “Jurassic World” ($525 million). This week, with an international estimated gross of $546 million to date, the film became the fastest to surpass $1 billion globally. 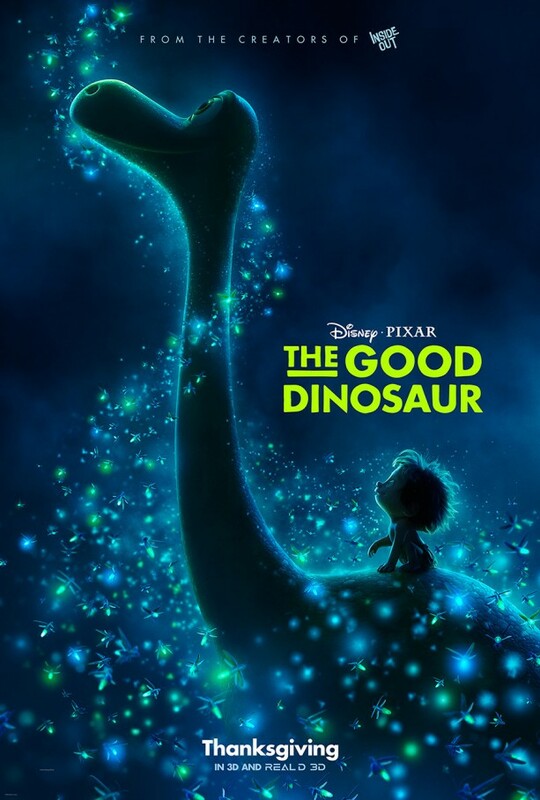 Disney woke up to a nice gift on Christmas morning as its animated family film The Good Dinosaur became the studio’s sixth film this year to cross the $100M mark, according to Deadline. Here’s a sweet new way to have even more out-of-this-world fun January 8-March 20, 2016, at Disney’s Hollywood Studios at Walt Disney World Resort. Symphony in the Stars: A Galactic Spectacular Dessert Party happens from 6:30-8 p.m. each Friday, Saturday and Sunday, with special viewing for the “Symphony in the Stars: A Galactic Spectacular” fireworks at 7:45 p.m. each night. Enjoy a selection of sweets as the night sky erupts with an arsenal of impressive fireworks, set to the most dramatic and memorable Star Wars themes of all time. On the menu, look for lots of Star Wars-themed desserts treats, including the popular Yoda and Darth Vader cupcakes and a selection of alcoholic and non-alcoholic beverages. And you’ll get a souvenir Chewbacca stein to take home! Cost is $69, $39 ages 3 to 11, including tax and gratuity. For reservations, visit DisneyWorld.com/dine or call 407-WDW-DINE. “Star Wars: The Force Awakens” shattered box office records with an estimated $517 million in worldwide ticket sales through Sunday, a staggering debut that re-established the celebrated space saga as a global phenomenon under Walt Disney Co. The first “Star Wars” film in a decade recorded the biggest domestic opening in Hollywood’s history, collecting $238 million over the weekend in the United States and Canada. It also set records in Britain, Australia, Russia and elsewhere as fans embraced a new chapter in the galactic battle between good and evil. The film’s financial and critical success mark a victory for Disney Chief Executive Bob Iger’s strategy of acquiring proven brands, including Pixar Animation and comic book powerhouse Marvel, to fuel Disney’s entertainment empire. Disney purchased “Star Wars” producer Lucasfilm for $4 billion in 2012 as part of his bet on big-budget films. Movie theater attendance in the United States and Canada, the world’s largest film market, has barely changed in a decade as online and mobile platforms exploded. Subscribers to Disney’s sports powerhouse, ESPN, have shrunk, a much-noted sign of pressure on traditional media. The turnout for “Star Wars” is an encouraging result for Disney, rival media companies and movie theaters. Global sales for “Force Awakens” finished second only to the dinosaur film “Jurassic World,” which in its June opening garnered $525 million worldwide, including China, where the “Star Wars” film will not open for weeks. “Jurassic World” took $208.8 million at domestic theaters in its first weekend. “Force Awakens” is the seventh installment in the epic science-fiction franchise created by George Lucas in 1977. Filmgoers reveled in the return to the “Star Wars” galaxy, dressing as Jedi or Sith, carrying lightsabers and cheering when classic characters such as Princess Leia or Chewbacca appeared on screen. Theaters added showtimes to meet demand. Disney plans four “Star Wars” movies through 2019, plus major expansions at its U.S. theme parks to incorporate the droids, spaceships and otherworldly creatures of the universe Lucas invented. “Force Awakens” toys, clothing, home accessories and video games already pervade stores ahead of Christmas. A Reuters Breakingviews analysis last week calculated that Disney may be on track to triple its Lucasfilm investment and earn an average of $669 million off the franchise in each of the next six years. Nostalgia, plus a carefully planned, months-long release of film trailers and character profiles boosted interest. Disney, which spent more than $200 million to make “Force Awakens,” also created intrigue by keeping the plot largely secret. Critics lauded the movie’s throwback feel, doses of humor and the performances of newcomers Daisy Ridley, John Boyega and Oscar Isaac. Audiences awarded an “A” grade in polling by survey firm CinemaScore. Disney took steps to attract more women and girls to the series, including casting Ridley as the star and running commercials during shows such as “Keeping Up with the Kardashians.” Forty-two percent of the weekend’s domestic audience was female, Disney said. 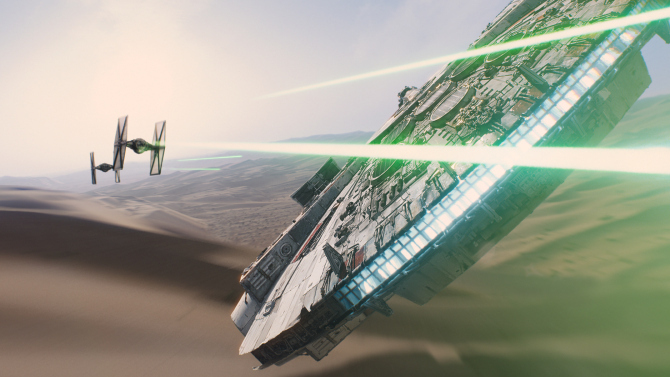 “Force Awakens” could become the highest-grossing movie of all time, box office analysts said. “Avatar” holds that title with $2.8 billion in global sales. The wild card is China, the world’s second-largest movie market, where “Force Awakens” opens Jan. 9. The last “Star Wars” movie in 2005 collected just $9 million there. Disney made an effort to build buzz, placing 500 miniature Stormtroopers at the Great Wall and striking a deal to stream the six earlier “Star Wars” films through video service Tencent. The Force, from a galaxy far, far away, rose from its slumber this weekend to assist Disney’s “Star Wars: The Force Awakens” at the box office. Grossing an estimated $238 million in the U.S. and Canada, the seventh installment of the George Lucas-created franchise now holds the record for the largest opening weekend of a film ever. The box office has not seen a performance like this since Universal’s “Jurassic World” opened in June ($208.8 million) and, prior to that, 2012’s premiere of “Marvel’s The Avengers” from Disney ($207.4 million). Ahead of the weekend, those familiar with audience tracking surveys predicted an opening weekend of $180 million to $220 million. But by Friday afternoon, those projections began to look increasingly conservative. Playing in over 4,000 theaters domestically, “Star Wars” began its massive run with a record-breaking $57 million in ticket sales for early Thursday night showings. That far exceeded the previous benchmark of $43.5 million set by “Harry Potter and the Deathly Hallows – Part 2” in July 2011. When Friday numbers were tallied, the official first-day total was an estimated $120.5 million. 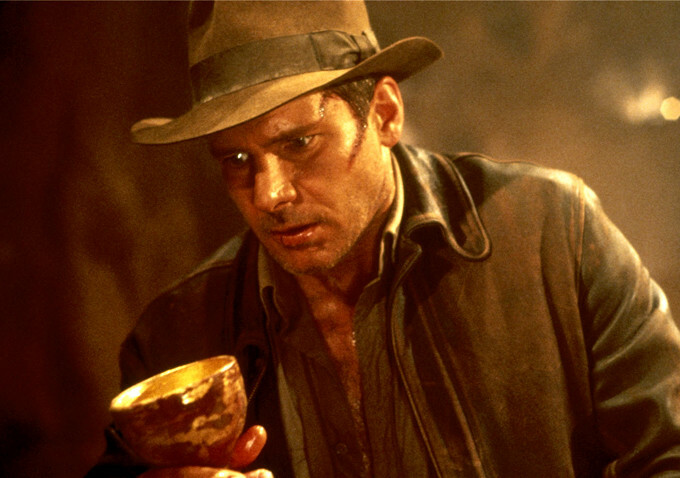 This gave the J.J. Abrams-directed picture the highest single-day profits on record and it became first film to break the $100-million mark in a single day. 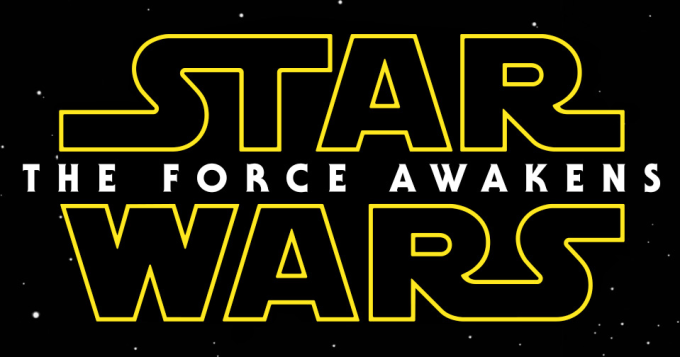 The numbers for “The Force Awakens” are also unprecedented for a film premiering in December. The record holder for the biggest opening during the month was “The Hobbit: An Unexpected Journey,” which took in $85 million in domestic receipts in 2012. Audiences gave the new release an A grade, and an A-plus among women and younger audiences, according to polling firm CinemaScore. It also earned a 95% positive rating from critic site Rotten Tomatoes. Such a showing is on par with the palpable anticipation demonstrated by fans and the movie theater industry ahead of the release. Audiences set a number of records for advance ticket sales on sites like Fandango. The movie racked up more than $100 million in pre-sales by its Thursday night opening. Additionally, when Disney debuted the final theatrical trailer during a “Monday Night Football” game on ESPN that coincided with the tickets going on sale online, the trailer was viewed 128 million times in 24 hours. The interest of fans led to expectations across the industry that “Star Wars” would drive up ticket sales as October and November box office numbers, compared with last year, are lower. Theater owners set aside huge portions of their auditoriums for the film, with some showings as early as 2 a.m.
Other wide releases also premiering this week included Fox’s “Alvin and the Chipmunks: The Road Chip” and Universal’s “Sisters.” Neither, however, could come close to the film starring Harrison Ford, Carrie Fisher and Daisy Ridley among others. The “Star Wars” box office takeover was also supported by some unusual promotions for ticket buyers. AMC Theatres offered new movie posters to people who bought Imax 3D tickets for Sunday showings. High-end chain Cinépolis brought in members of the 501st Legion — a group of enthusiasts dressed in Stormtrooper garb — to take pictures with moviegoers in the lobby. Disney’s sustained marketing campaign tapped into the nostalgia for the original trilogy and got people talking about the movie via social media. On Twitter, the movie was mentioned roughly 2 million times on Thursday alone, making it the most tweeted-about movie ever, according to social media analytics firm Union Metrics. Much is at stake for the Walt Disney Co., which, in 2012 paid $4.1 billion for production company Lucasfilm, largely for the “Star Wars” franchise. The big numbers for “The Force Awakens” bode well for the future of the franchise, and not just at the box office. Burbank-based Disney also stands to generate sizable returns across other business segments, including video games, merchandise and theme parks. It remains to be seen whether “Star Wars” will have a halo effect on the industry and get theater goers to also see other movies. Next week, films including Sony’s “Concussion,” Paramount’s “Daddy’s Home,” Fox’s “Joy” and Warner Bros.’ “Point Break” will hit theaters. Some analysts worry such films could get lost in the shadow of “Star Wars,” though some suggest otherwise as “Star Wars” brought out consumers who haven’t been to a theater in a long time – welcome news to theater owners who have seen their attendance stagnate in recent years. The industry also awaits to see if “Star Wars’” force can help push U.S.-Canada ticket sales to a record $11 billion. The year 2013 was best for the box office at $10.9 billion.